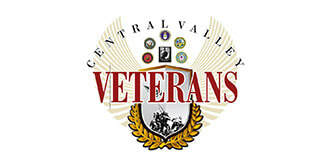 Central Valley Veterans (CVV) and the US Army Corps partners to host our Annual “Warriors on the Lake” event. This fishing derby is held annually on the first Saturday in May. This event allows 100% disabled Veterans a chance to learn that life is not over due to their disability. 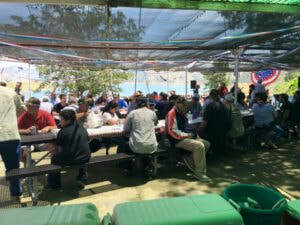 Veterans and their families are treated to a day of fishing at Lake Success in Porterville, CA. 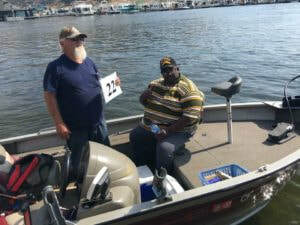 Local Bass Fishing Clubs donate time and boats to this event. 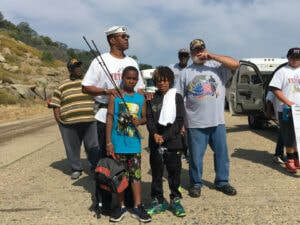 Last year almost 70 disabled Veterans (many directly from the hospital) and their families participated in this special day that included breakfast, a fishing tournament complete with trophies, a BBQ lunch and raffle items Everyone also received a specially designed event T-shirt and plaque. This event is completely free to Veterans and their families. 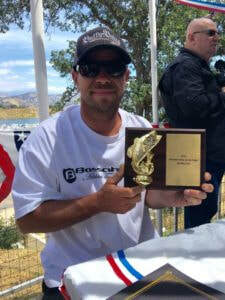 This year we plan to place at least 50 Disabled Veterans into bass boats with drivers – most times a fellow veteran – and have a tournament with trophies for 1st – 5th place and big fish. Every Veteran will receive a plaque with our thanks for their service. We have had Veterans in the past that never fished in their lives catch that BIG one, make the big fish their own and are still talking about it today.